Trailside Bicycle Company is Boardman, Ohio’s one-stop-shop for all things bike-related. In business since 2015. Our comprehensive selection of bicycle models has something for everybody, from beginners to seasoned biking enthusiasts. For indoor exercise enthusiasts, we carry several varieties of indoor cycling trainers as well as spinning shoes. Get ready for the season with a great new bike from Felt, BMC, Fuji, Haro, Masi, SE Bikes or the Buddy Bike. right here at our Boardman location. Felt Racing is a bicycle manufacturer based in California. Felt produces road, mountain, track, bmx, cyclocross, electric bicycles, and cruiser bikes. … The company also has a strong reputation in the time trial/triathlon bike area. FELT IA is king of the triathlon world and their FR and AR series are both fast and light with the VR endurance machine the road is fully covered. Rounding out the FELT lineup is the Verza Speed and Path fitness minded bikes and with their comfort line up and the awesome mountain bikes they cover all types of cyclists and their needs. BMC is unmatched in performance and comfort with all of their road and mountain bikes. These are some of the smoothest riding bikes on the market. Fuji was established in Japan in 1899 now owned by Advanced Sports Inc. a Philadelphia, PA based company. Fuji has the beach cruiser/comfort bike figured out with the Barnebey. one of the most comfortable bikes you’ll ride at an incredible price. Check out Fuji when price matters… They have some super competitive bikes at fantastic prices. From Road to mountain or TT and kids bikes Fuji makes a wide variety of bikes! Masi Bikes specializes in high-end racing bikes. Masi Bikes is a bicycle production company that was founded in 1950 and is known for its racing bikes. Masi was established in Italy by Faliero Masi, but is now based in California. Masi also offers fantastic touring and commuting bikes. The Haro bicycle company was founded in 1978 by Bob Haro. Haro started out producing number-plates for BMX bikes in his Home. Demand for these stylish plates quickly outgrew his one-man capacity. … As a result, Haro earned the title “The Father of Freestyle”. Haro has an awesome lineup of BMX and kids bikes!! SE Bikes… On a sunny autumn day in 1970, in a vacant lot in Long Beach, California, a young Scot Breithaupt organized the first-ever BMX race. … In 1977, he founded Scot Enterprises, and soon after, SE Racing was born. SE Bikes make awesome BMX bikes and they also offer sweet fixie’s and single speeds to round out their lineup, they are a really great option. 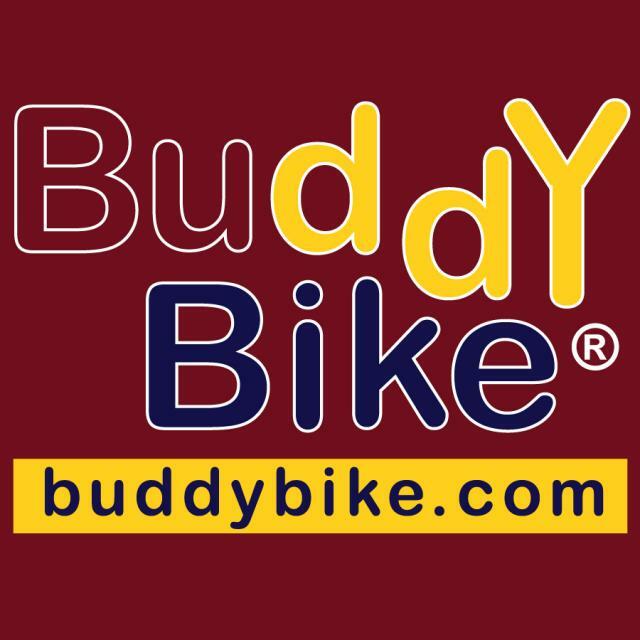 The Buddy Bike has the interests of the special needs customer in mind when they developed the family classic. From residential and commercial fitness equipment repair, to basic bicycle tune-ups, to a complete rebuild on your favorite bike, our expert service department is ready to help. Want to know more about a specific product? Call 330.503.4690 today or contact us online!